The Red Lion at Cheveley is a beautifully refurbished pub/restaurant in the heart of the traditional village of Cheveley, which lies approximately two miles from horseracing's global capital, Newmarket (on the Suffolk/Cambridgeshire border). We offer a delicious range of seasonal menus as well as daily specials. Food is served 6pm — 10pm Tuesday to Saturday and the bar is open from 6pm to 11pm Tuesday to Saturday. We stock a good selection of cask ales, including Doombar, London Pride, Black Sheep, Wherry, Directors, Wadworth 6x, Spitfire and Oxford Gold, to name but a few, and we offer an extensive wine list. So, why not visit us for a quiet drink with friends? 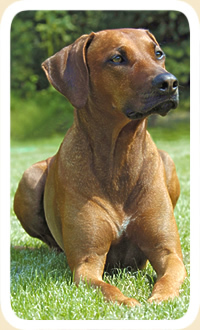 The Red Lion is a dog friendly establishment, with both a bar and a dining room. Come and enjoy the relaxed and casual atmosphere of our cosy bar with open log fire. We also cater for private functions — please contact us for further details. Our top quality food is simple, full of flavour, and well presented, and we are pleased to support local suppliers. 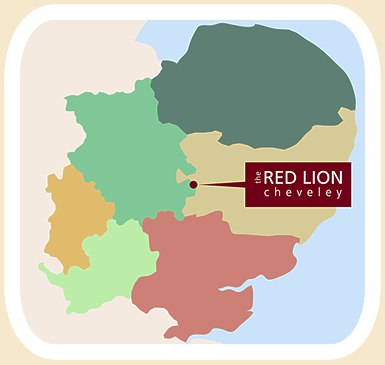 The Red Lion is located in the heart of East Anglia, and is easy to reach from Newmarket, Cambridge and Bury St Edmunds.